The International Committee of the Red Cross will “drastically” reduce its operations in Afghanistan following attacks that have killed seven of its staff this year. KABUL - The International Committee of the Red Cross will “drastically” reduce its operations in Afghanistan following attacks that have killed seven of its staff this year, the aid group said on Monday. 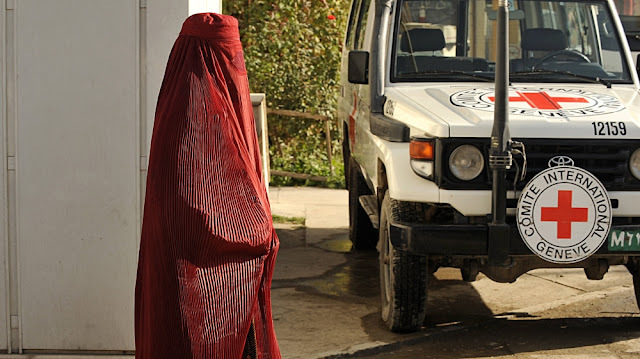 “We have no choice but to drastically reduce our presence in Afghanistan,” Monica Zanarelli, head of the ICRC in Afghanistan, said, adding that the organization would not be leaving the country altogether. The International Committee of the Red Cross will “drastically” reduce its operations in Afghanistan following attacks that have killed seven of its staff this year, the aid group said on Monday.